Back in May during Google I/O, Google grabbed plenty of attention by showing several demos of its new Duplex feature. As you might recall, Duplex allows Google Assistant to call businesses and make appointments and reservations for you. The virtual assistant handles everything from placing the call, to making the actual reservation while engaging a live person in a conversation. A Google spokesperson told Venture Beat yesterday that Duplex is being pushed out to a small group of Pixel users in select cities. Right now, the feature is limited to making restaurant reservations. If you try to use it in locations where it is not enabled, you will get a message that the feature is not ready to make reservations for you. The error message will include the phone number of the restaurant you were looking to reserve a table at. 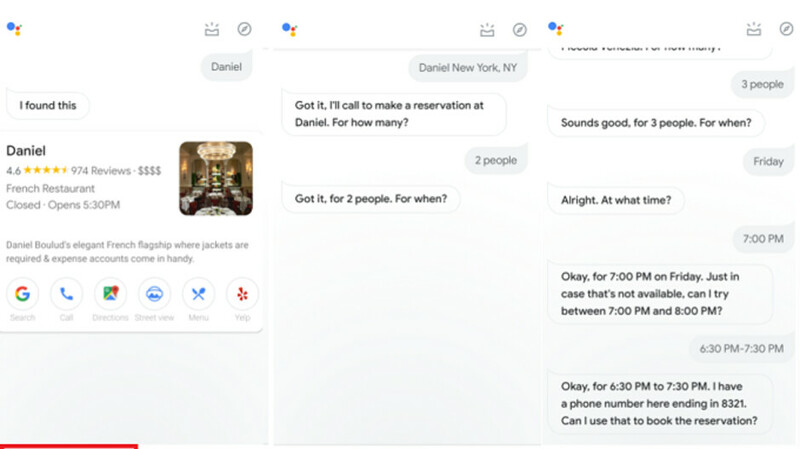 According to those who are lucky enough to find Duplex up and running on their Pixel handset, the best way to activate the feature is to ask Google Assistant to make a restaurant reservation in a specific city or neighborhood. If the restaurant you select from the list provided by Google Assistant is compatible with Duplex, there will be an option on the listing that reads "Request a table there." Tap on that option and Google Assistant will ask you questions, such as the number of people in your party, and the date you want the reservation for. The date can be weeks or months in the future. The last inputs you need to make before Duplex does its thing is a time for the reservation, and your callback number. Confirm your reservation preferences and the call is made. If you have to cancel a reservation, Duplex can handle that for you too.